“Every Thing On It” | Ooh, my favorite! 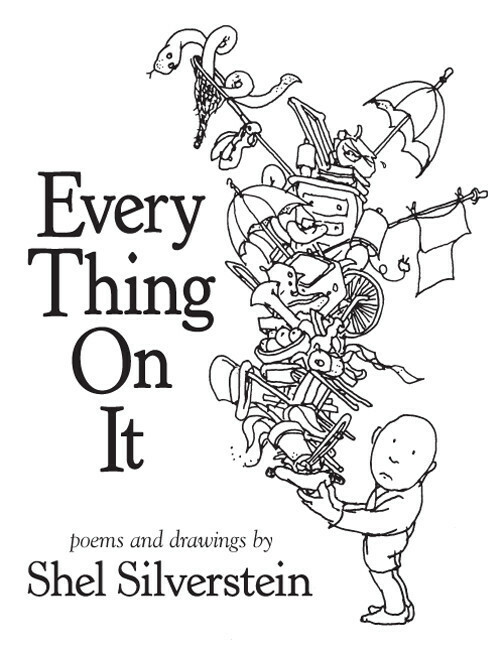 A new Shel Silverstein book of poems is set to be released in September. I’m not sure if it’s a collection that he would have wanted published or if it was something that was never intended to be released; you never know with these posthumous releases, but nevertheless my hopes are high! In the meantime I am so going to dig up my old books: “Where the Sidewalk Ends” and “A Light in the Attic” and ooh, “The Giving Tree”!